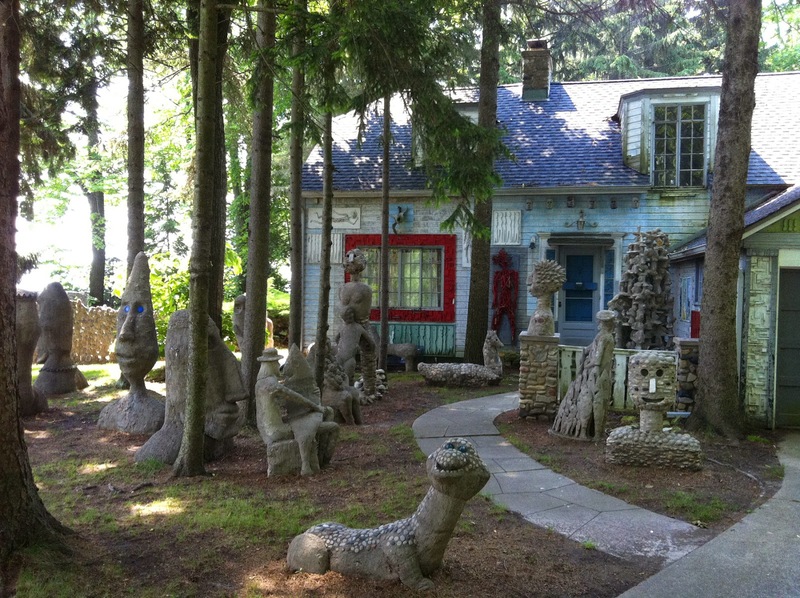 Tina and Carson Kügler both grew up in Milwaukee, influenced by Mary Nohl's garden of fantastical creatures. 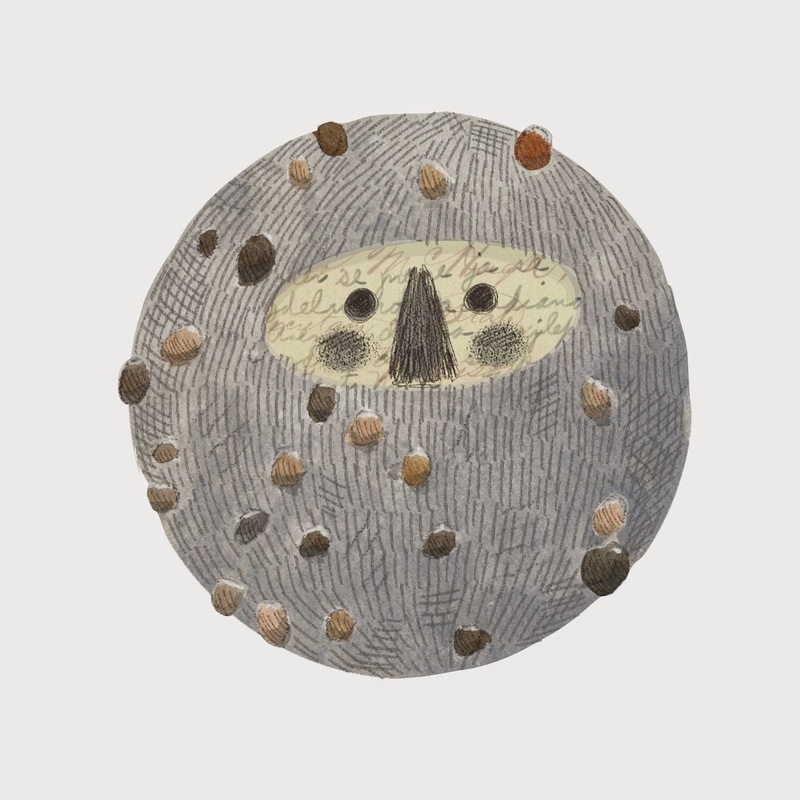 They blossomed into professional artists and created three rather loud creatures of their own. 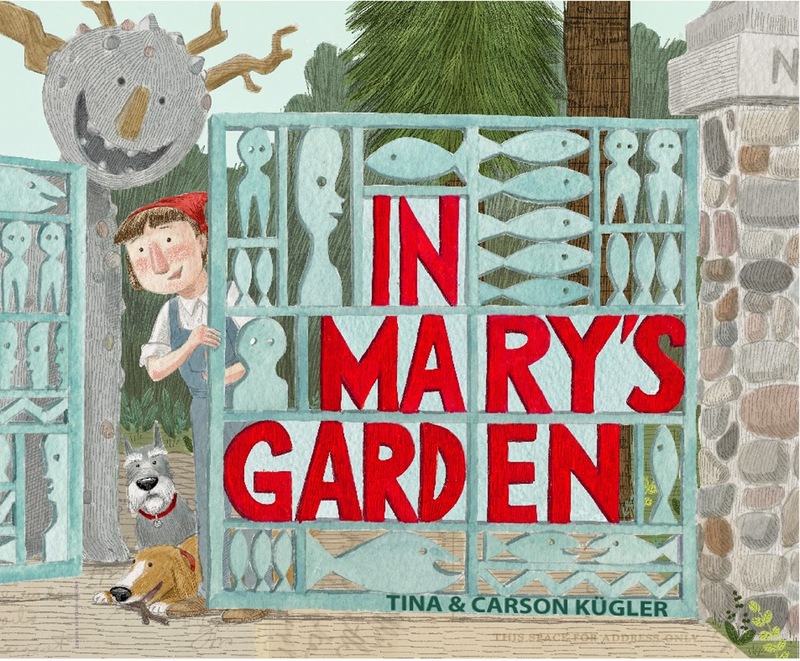 After years of dreaming about how to turn Mary's wonderland into a book, Tina and Carson combined traditional and digital collage elements to capture the spirit of Mary's art. The Küglers currently reside in Los Angeles where Carson is a storyboard supervisor for Nickelodeon Animation, and Tina is a full-time children's book illustrator. Tina writes that her dot was "inspired by our book In Mary's Garden. We created it in the style of Mary Nohl, the Wisconsin artist who made amazing creatures out of the humblest of materials, and truly marched to the beat of own drum." Here's a sneak peek from the inside of the book. O, my. So glad it's a truly real house. What a creative title to check into.